Circus Starr, the circus with a purpose, was back on tour for the New Year! Over January, KidsOut provided 90 children with the opportunity to see the circus in Dudley, Edinburgh, and Wakefield. Circus Starr is a wonderful world-class act whose pivotal mission is to “transform, enrich and inspire the lives of children and families who need it most across the UK […] through the magical art of circus performance”. From some of feedback we received, it is certain that their mission is being achieved. One family told us “They got to experience something they may not have had the chance to”. One child that attended said “Wow!!!! I want to do that when I get bigger. We are very lucky to have an opportunity like this”. “Loved every minute of it, more so when you see the kids so happy”. 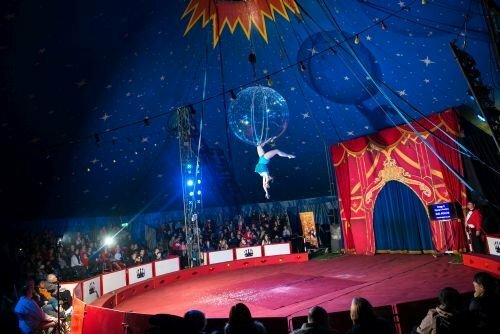 Future trips to see the circus are being planned in Sheffield, Stoke, Southampton, and many more locations, so keep an eye out for invitations and social media updates. Thank you again to Circus Starr for their continued generosity and support.